Do you need something to do after school? Or during the summer? 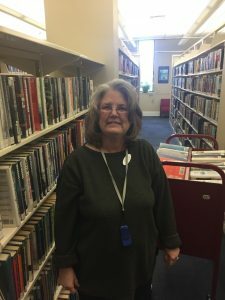 Volunteer with us and give back to your library and your community! Most teens serve one hour per week. Based on your interests and talents, you will be assisting with children’s programs or puppet shows, helping shelve book, preparing materials for programs, and more. Along the way, you will learn new skills, meet other teens and earn service hours for school. Teen volunteers play an important role at the library! School Year Volunteers – Applications are available August-March. School year volunteers are scheduled one hour a week, September-April. Summer Volunteers – Applications can be submitted April-May. Summer volunteers will work June-July. Once received, we will review your application and get in touch with you as soon as possible. Unfortunately, we cannot always accommodate all requests to volunteer: sometimes the library’s needs do not match a particular teen’s skill set or we are unable to provide adequate supervision due to limited staffing. Applications for summer volunteers are especially competitive. If you are not accepted for one cycle, we encourage you to apply again in the future.